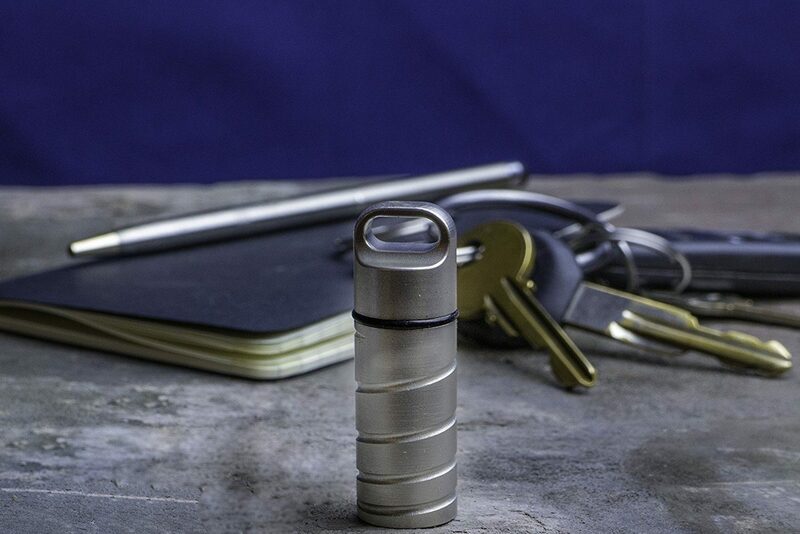 Stash your valuables with peace of mind with the Tin Mill Key Safe. 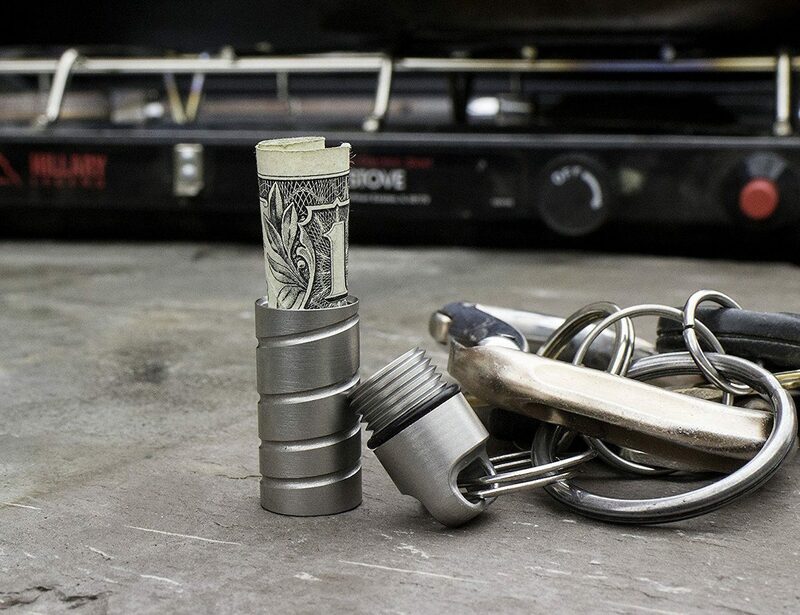 Made entirely of stainless steel, this ultra-secure keychain can easily store spare cash, medication, or even some secret notes. 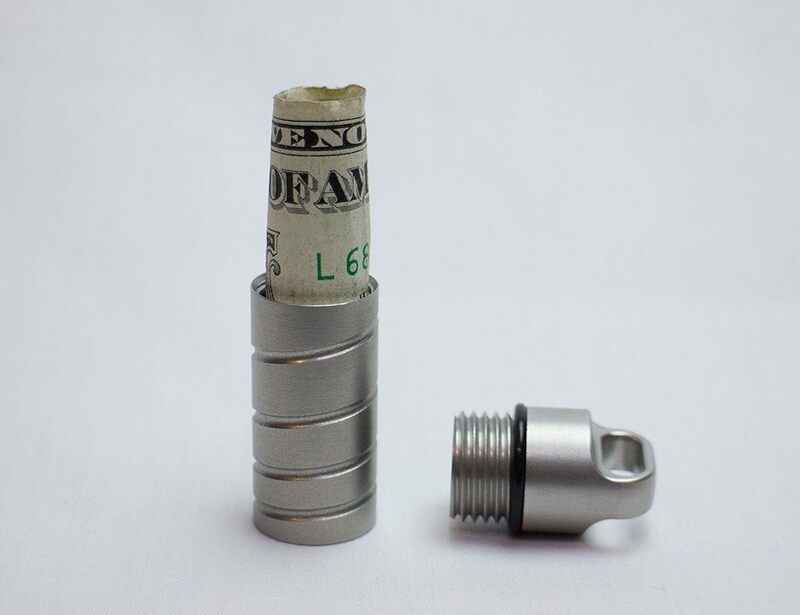 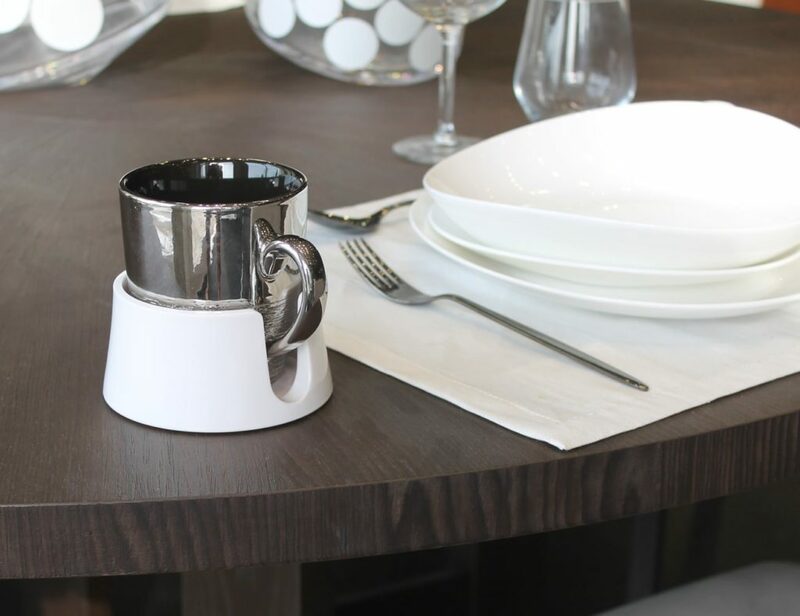 Attaching to your set of keys, the Tin Mill Key Safe keeps your cash always on hand in case of emergency. 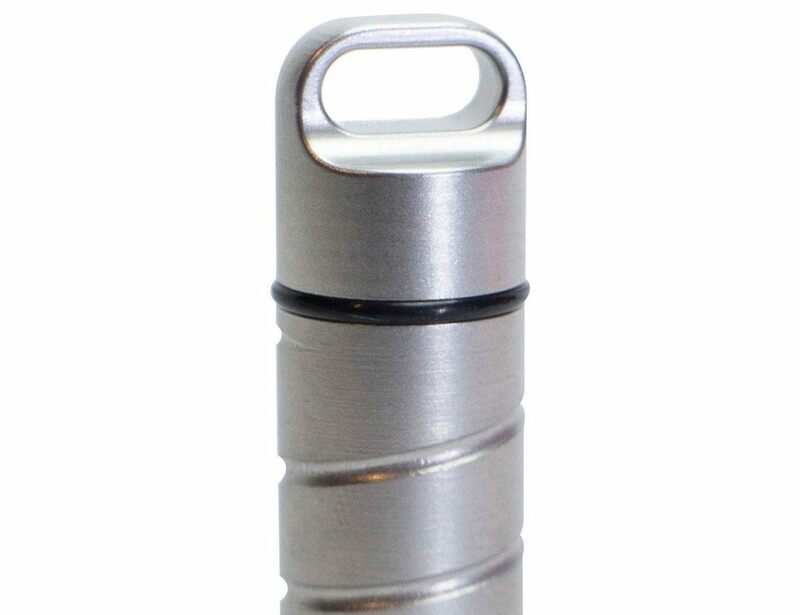 The corrosion resistant stainless steel is inconspicuous yet rugged to withstand the typical wear and tear of your keys. 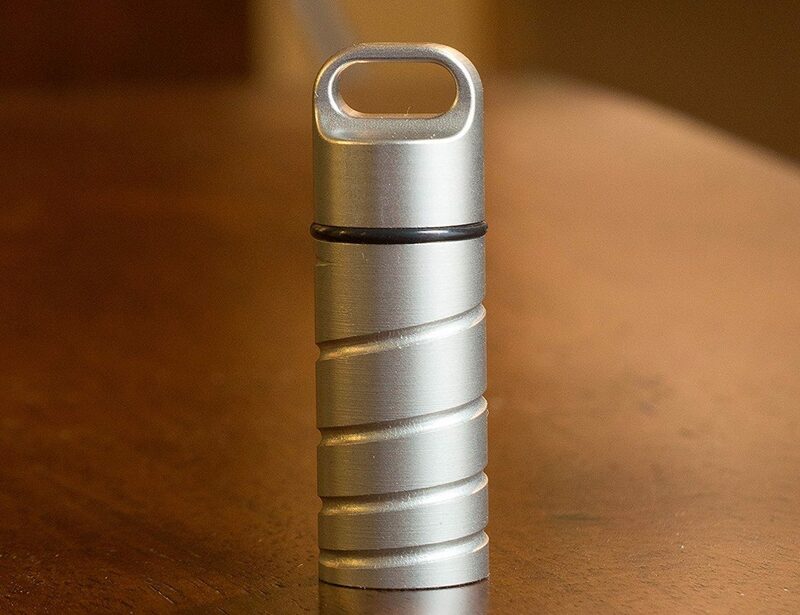 Forming a water tight seal with the lid, the Tin Mill Key Safe could even be used for micro-geocaching. 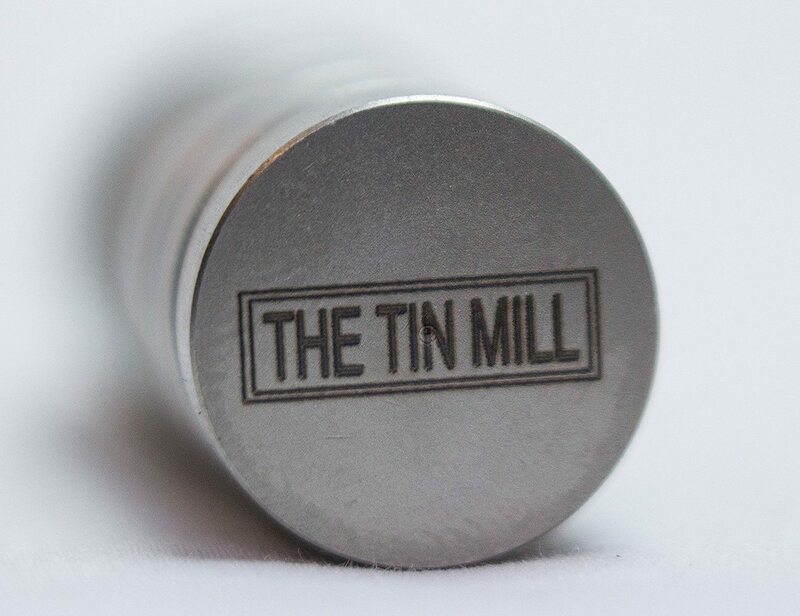 At just 2.25 inches tall and just over an inch and a half in diameter, you’ll be the only one to know the Tin Mill Key Ring is holding your valuables.